The retractable lattice grille system combines a classic appearance with effective security suitable for the home or workplace. The system can be easily fitted to the face or reveal of any window or doorway aperture. Where clear access is required the bottom track can be made to fold up in a number of configurations. The lattice construction is available in ‘X’ lattice as standard or can be produced in ‘S’ lattice if preferred. All gates are top hung on nylon-coated steel bearings, and are available in a range of powder coated colours to suit. The doors fit within or around the reveal and have multi-point locking from a single key, available in 2 point or alternatively 4 point locking (providing enhanced burglary protection) with the lock mechanism shielded by a steel plate. 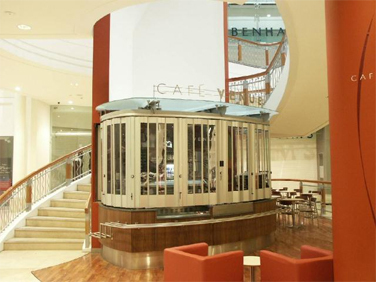 All come in a strong steel lattice with a smooth durable finish, have overlapped locking profiles, an optional folding bottom track to allow unrestricted access through doorways when the gates are open, compact sashes which fold neatly to the side giving un-obscured visibility to window displays and are available as either a steel riveted lattice assembly system or a specially designed lattice assembly system utilising high grade (patented) steel screws. All 4-point locking systems come with LPCB certification and are installed in accordance with LPS 1175. Enhanced burglary protection is achieved through the use of an advanced 4 point locking system and the unique patented assembly system. The validity of LPCB certification is contingent upon each gate being installed in accordance with the requirements of LPS 1175. 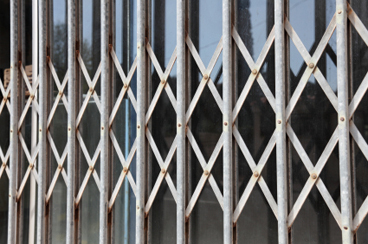 Security burglar bars are manufactured from steel and can be fixed to the inside or outside of the window. They are secured with 75mm bolts with system lock concealed caps.